Home / thinking / bible stuff / What About Isaiah 53? 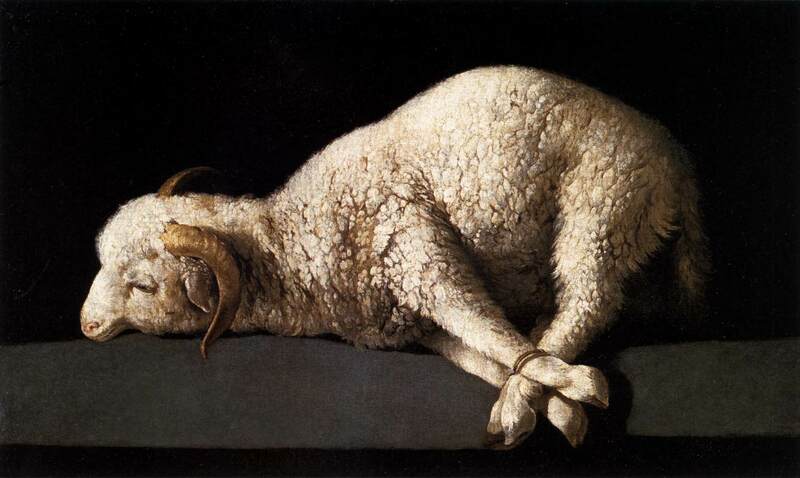 We talked about the dangers of a penal substitution theory of atonement yesterday. I want to thank everyone who shared, retweeted, emailed and commented. The sincerity and the level of interest were very encouraging to me – as was the level of pushback. It reminds me of exactly how much all of this matters to people. The overwhelming theme of yesterday was “what about Isaiah 53?”. I would never have thought it would come up as much as it did. It apparently is a linchpin that holds a whole system of biblical interpretation, belief and practice together. As we prepare to look at the role Isaiah 53 plays, I want to begin with some general confessions. 1) I was raised loving Isaiah 53. My first live rock show was Stryper for heaven’s sake. I get why this stuff is important and that is why I attempt to handle it so carefully (except for the random cheeky hyperbole to keep readers alert). 2) My point yesterday was the New Testament never refers to the wrath of God being poured out on Jesus. It is the one thing that we know didn’t happen on Good Friday. For people to continually, then, refer to a passage for the Hebrew Testament was supremely telling for me. 3) There are going to be three types of readers of this post. A second kind of reader holds that the Old Testament (that is what they call it) is predictive. So even though the writer from BC would not have explicitly been writing about Jesus, God – who knows the future – slipped it in there through inspiration and double-layered the meaning of passages like Psalm 22. A third kind of reader understands that the writers of the four gospel texts were well acquainted with passages like Psalm 22 and Isaiah 53 which would have shaped the way they told the Jesus story. You can see this in the 7 Saying of the Cross. None of the 7 appear in all 4 gospels. We have assembled them. We have amalgamated them. We have harmonized them. Luke 23:43: Truly, I say to you today, you will be with me in paradise. John 19:26–27: Woman, behold your son. Behold your mother. John 19:29-30: It is finished. Luke 23:46: Father, into your hands I commit my spirit. This might be eye-opening to reader 2. When you are taught to read the Bible in a harmonized way, Jesus said 7 things from the cross. You may not know or even care that you have to turn to 4 different accounts to accumulate the 7 sayings. It may never dawned on you that they were telling four different kinds of stories within the bigger story. In the same way many readers are making the mistake of mashing together The Day of Atonement’s “scapegoat” and the Passover’s lamb. This is causing great confusion. BUT when you are comfortable harmonizing Old and New Testament, the four Gospel accounts and Jewish holidays/imagery into one big thing … this is going to happen. It would take too much to write for all 3 readers. Since #1 doesn’t care anyway and reader #3 is probably not building a theology around a poetic/prophetic passage from the Earlier Testament (that is what they would call it). I will focus on Reader 2! What follows are the words of Hardin, Heim and Jones on Isaiah 53 – all texts are available in Kindle. ” This is not about an economy of exchange. Nowhere in the Gospels does Jesus say God is angry or wrathful with sinners, nor does he ever say or imply that God’s wrath must be appeased before God can accept sinners back into the fold. None of the logic of the sacrificial principle can be found in anything Jesus says regarding his death. If Jesus death was not a sacrificial act, relating to the logic of giving and receiving then what was it? First, it was a political act. It was Pilate, as representative of Caesar, who gave the order of execution. It was pagan Empire that actually carried out the crucifixion. Although it is true that Jesus was ‘handed over’ to the Jewish leadership by one of his disciples, and it is also true that Jesus was ‘handed over’ to Pilate by these same religious authorities, it was the pagan sacrificial system of Empire that killed Jesus. The Passion Narrative has a certain structure that is familiar to readers of ancient stories, the structure of all against one (5.2, 6.3). As we noted earlier, virtually everyone with the exception of a few women, participated in the execution of Jesus. No one is left out. To put it bluntly, Jesus was lynched by an angry mob. Like the victim of Psalm 22 or the servant of Isaiah 53, he was alone; no one came to his aid, no one stood up for him, no one cried out that what was being perpetrated was an injustice. Sometimes Christians look at the cross of Jesus and see a singular unique event. The fact that Jesus so clearly ties his death into the deaths of other victims (like Psalm 22 and Isaiah 53) ought to indicate that he does not see his death in sacrificial terms. In fact he sees a clear connection between his death and all of the unjust deaths of his sacred history. In Matthew 23:29-36 Jesus addresses his contemporaries with a warning: they will experience the cataclysm of social disintegration because they persist in using violence against individuals to solve their social crises. Jesus points out that the history of the Jewish people is a history bounded by murder: the very first murder of the Jewish ‘canon’ was that of Abel (Genesis 4:8) and the last murder, that of Zechariah (2 Chronicles 24:20-21). His death will be like that of every prophet sent by God to Israel. The difference between Jesus’ death and that of the prophets, from Abel to Zechariah, was that their deaths took place in or by sacred altars; it was in the context of sacrifice, near a bloody altar that they die. Jesus does not die in the Temple or near an altar. His death is completely secularized; he dies on a hill “outside the city gate” (Hebrews 13:12). Jesus’ death was God’s way of coming into the machinery of sacrifice and tossing in a wrench to stop it from working ever again. The sacrificial principle is the dark side of religion of which Jesus’ death is the light. According to Anselm, we owe God a debt, and that debt is obedience. But because of our sin, we are incapable of paying that debt, we are incapable of obedience to God. Jesus Christ, being perfectly obedient to God, is able to pay that debt, and he did so on the cross. We are not thereby freed of our obligation to obey, but we are freed of the arrears that we owe. Five centuries after Anselm, along came Calvin. With the mind of a lawyer and the government of Geneva in his sights, Calvin took Anselm’s satisfaction theory and turned it up a few notches. It’s not just that we owe God a debt due to our disobedience, it’s that divine justice demands that we be punished for our disobedience. that Jesus’ death was unjust. that Jesus’ death was not transactional. that Jesus’ death can be read as satisfaction but not substitution. that PSA is a historical development (construct) and not THE Biblical truth about Jesus’ death. I would love your feedback and look forward to your thoughtful responses – concerns – and questions. I hope that this has been helpful. You can listen to that interview with Hardin here. The original post about blood and the cross [here] and the Concerns of the Cross [here]. Our nerdy conversation about the cross on TNT [here].